I'm realizing something more than ever this summer. Okay, it's something I've known for a while but haven't admitted to many. Are you really, really ready, and willing to withhold judgement? 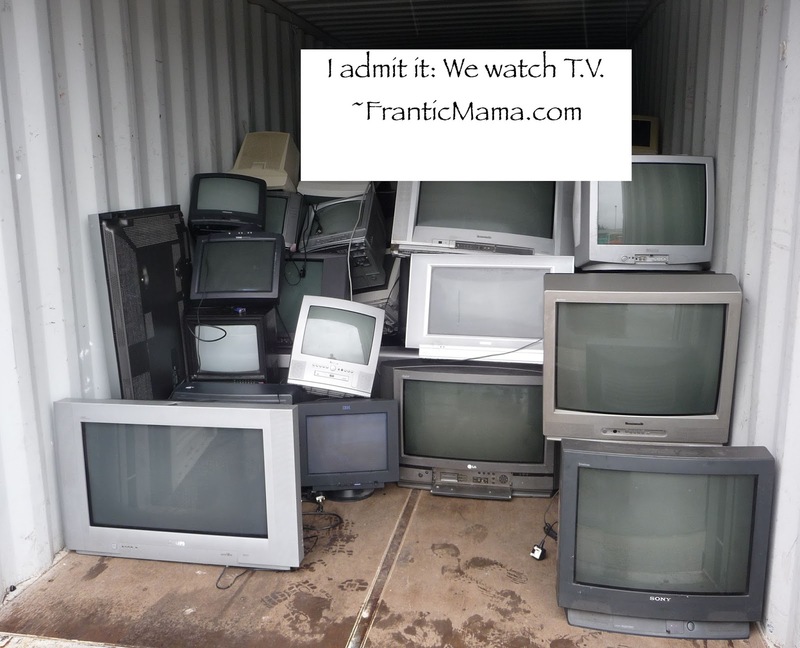 Here it is: One of my favorite activities to do with my kids is watch shows. It's out there. I said it. This is our living room. Just kidding! And I do those things when I can. But oh, how nice it is after a rushed morning, a difficult mealtime, or a harried trip to the grocery to to sit peacefully with my kids, often on the couch next to my son and with my little daughter on my lap? It's one of my only my chances during the day to get off my feet. It gives me a chance to hold or lean into them. It's a time with little to no arguing (for a lovely 15 minutes). Are you starting to get it? It's nice. So here I am readers-- I admit it. Watching a show (or two) with my kids helps keep me sane, especially this summer, as we have had oh so much time together. I urge you to find what keeps you sane too. P.S. Curious to know what we've been watching this summer? 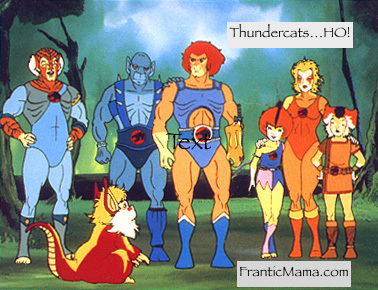 A 1980's favorite of mine, the original Thundercats! It's weird and insane (the characters are half-person half-feline), but also kind of awesome. Add it to your watchlist if you dare! Thundercats, ho! Totally with you on this, always ok to take a break together. HA! Yes, Thundercats HOOO! Thank you for supporting this novel notion of taking breaks with the kids. I like having partners in crime ;). "Sword of Omens, give me sight beyond sight!" Oh if it were not for screen time,would I still be sane? Nah no! I have watched with my kids many a back to back episodes of curious George on many a hard days!! Interestingly my fussy eater will try a new food while engrossed in a show and sometimes end up liking it too. Hehehe, I don't think I would be sane either. As I write this, the kids are settling down with a snack and a show so I can take a mental breather and check my messages. How clever to try new foods while he is engrossed in a show. I'll have to try that! !